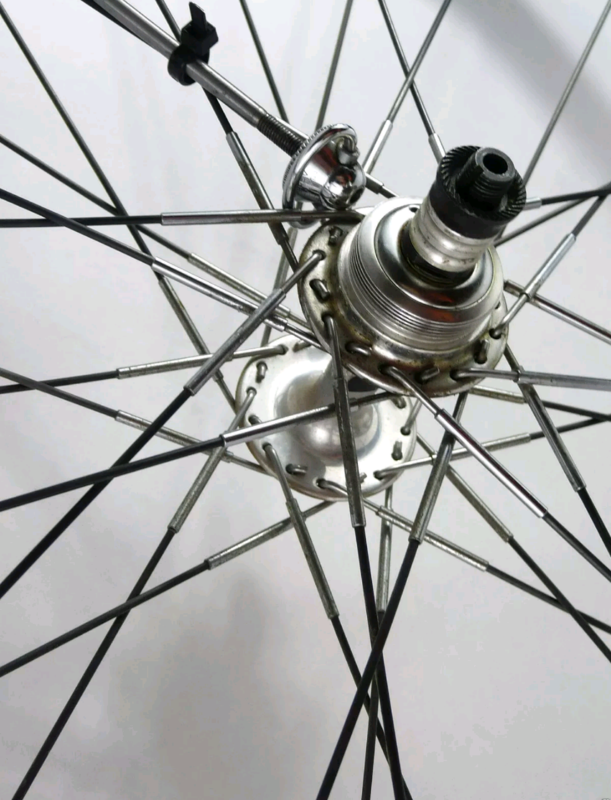 The following rare wheelset was mentioned on another thread and as listed on the big auction site. 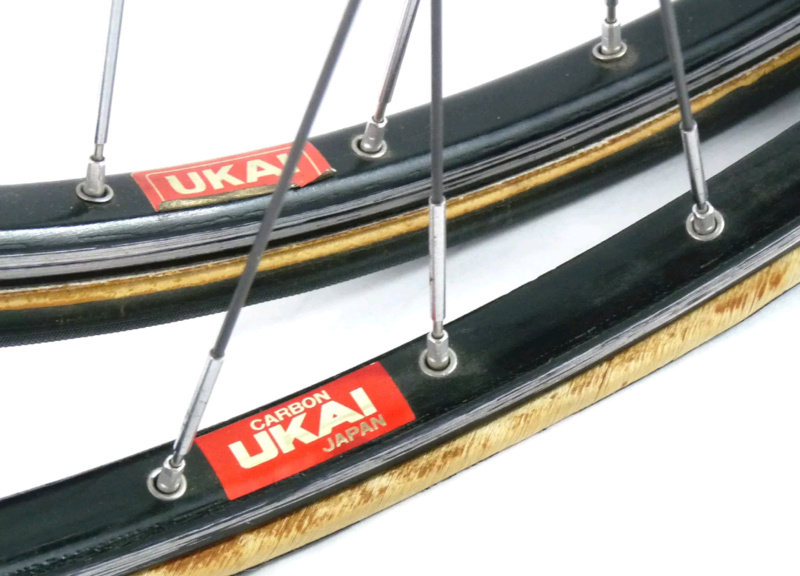 Early and possibly prototype Ukai carbon spokes with carbon / aluminum rim. 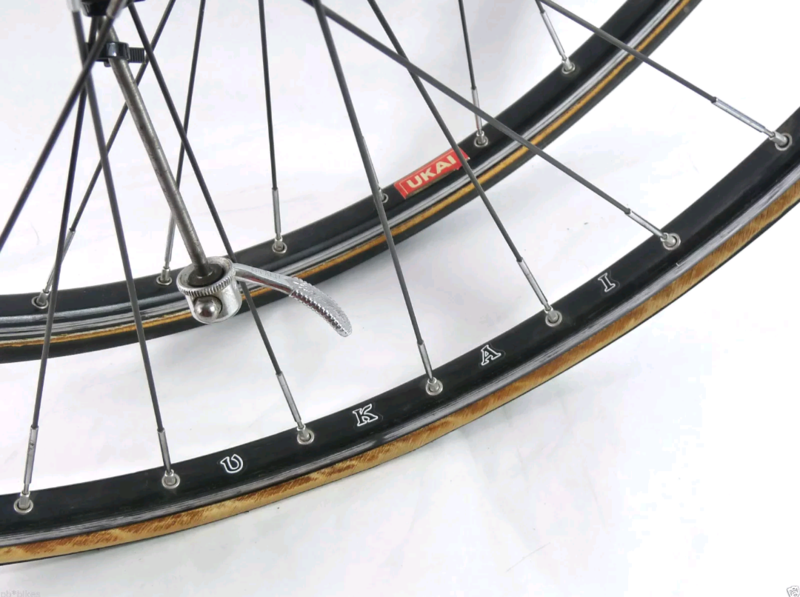 Described as first shown on display -show bike.